I often encounter situations at work where a colleague is in pursuit of an amazingly complex solution to a elegantly simple problem. It starts innocently enough as a conversation about backing up some files. "What's the best way to back up some files I have at home?" A healthy, responsible question. Off to a good start. Except the reply turns into, "I can help you build a SAN for your home and you can back up everything there." Then it's a flurry of Google searches: "synology," "netgear prosumer," "government auction NetApp." Come on, that last query was funny.... right? By the time I'm invited to the discussion, the question has become, "what model of the ReadyNAS would you get?" Wait a minute. Why are you looking for a home storage solution again, especially one that costs hundreds of dollars? It turns out that the guy really just needed a way to back up his MacBook. "Go buy a WD My Passport for Mac." Plug it into the Mac. Turn on Time Machine. Done. It's often the case that people, especially IT professionals, ask questions that obfuscate the real problem they are trying to solve. 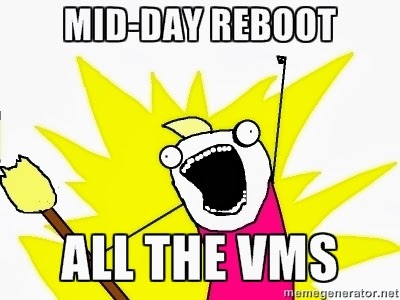 For example, I was once asked how to add a vNIC to a VM. I asked why someone wanted to do that. "So we can add another IP to the server." Clearly there's a better way to do that. The challenge is to listen not just to the question, but to discern the real question. PS - Now that I've posted this, I'm not even sure why I wrote this. I may have just wanted to write something. Anything. It's just that I have so many ideas during the day, and no time. Then in the evenings, I have time, but no ideas. And the water cooler outside my cube in the basement makes this loud vibrating sound every 8 minutes and it's like Harrison Bergeron. Ok, that's enough. Long footnotes and post scripts remind me of House of Leaves, and that's disturbing. Now this is the most important machine in the hospital. How nice is it when you get to the office and find a freshly brewed carafe of corporate coffee waiting for you? 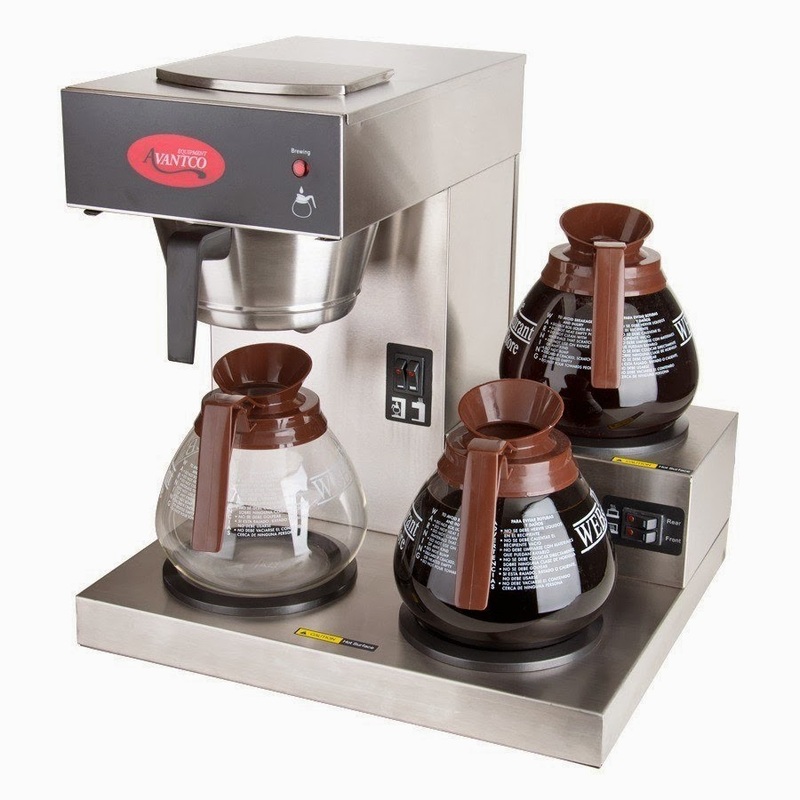 Depending on the size of your office, you might even find several full decanters on hot plates. That, my friends, is how you correctly start your workday. On the other hand, how maddening is it when you go for coffee only to find empty pots? Or when you watch some ******* walk out of the kitchenette with a hot cuppa coffee, only to realize he had taken the last bit and didn't make more? After a while, you start to recognize the makers and the consumers. You lament that more people don't make coffee, and that most people are happy to consume and carry on. Tech communities are the same way. Most people are satisfied to consume content that's created by a handful of contributors. Take Thwack, for example. Sure, there are thousands of registered users, but I see the same handles popping up in each discussion (ok, ok, and each contest). You get people who stop in for a specific answer, find it, then disappear into the void. That's okay, usually; when you're dealing with an outage, you just want to find some useful info and fix the problem. You probably don't want to linger and post something. But what about returning to the site after the problem has been resolved, and posting a follow-up related to your problem? At least, confirm that the information you found was helpful. The value in community is that it's not a museum of anachronistic knowledge. It's a dynamic, regenerative thing that requires participation. To use another example: what if reddit went read-only? Can you imagine? The Interweb would collectively flip the **** out. Reddit is great because of the community participation. Technical communities are no different. Without participation, community sites would become a ghost town with vTumbleweeds rolling through the decrepit ruins of last year's technology. You know, like Digg in 2010. So start contributing, start sharing your knowledge. And quit drinking all of my goddamned coffee.